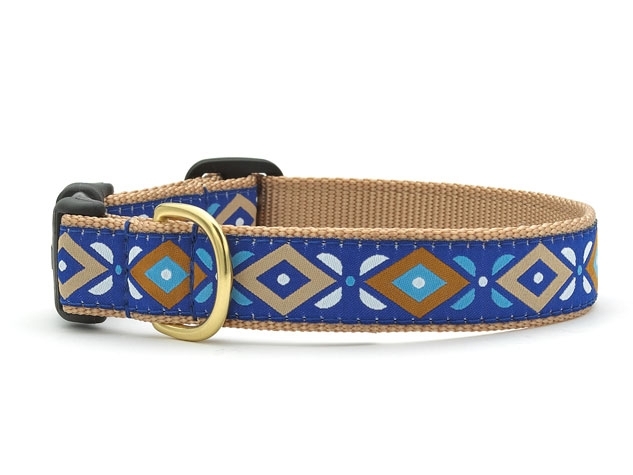 Up Country's Aztec Blue collar makes your dog walks even more special. This design is part of the Up Country's Blue Hills collection. The ribboned design will make your dog look even more lovable and cute than they already are! Made of high tensile nylon with a fray and stain resistant ribbon sewn onto the nylon makes the collar strong, and it can be adjusted for the perfect fit. Machine washable and Made in the USA makes this collar a perfect choice for your loved dog.